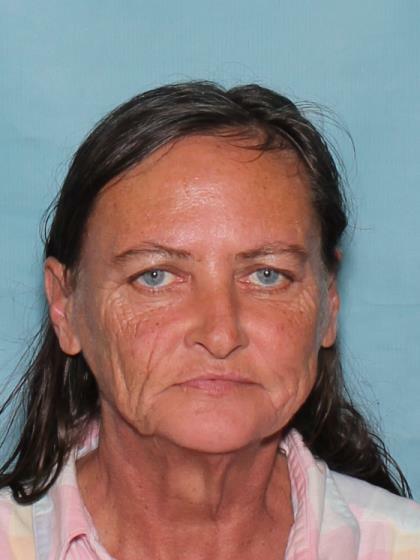 Missing endangered adult Brenda Meddock was last seen in the area of 4200 East University Dr in Mesa yesterday morning at around 0930hrs. She was seen leaving the area by a behavioral staff member who supervises her during the day. Staff is concerned for her welfare since Brenda is a diagnosed Schizophrenic who is currently without her medication at this time. She is new to the Mesa area and is most likely on foot. Contact Mesa PD with any information regarding this investigation. Last seen wearing a black hooded sweatshirt and dark colored pants. May appear transient. Subject does have an outstanding Phoenix warrant for her arrest. Contact Mesa PD when subject is contacted or located.